Hello everyone! I’ve missed you! I am so excited to say that I am back and more motivated than ever! As you know, I’ve been on a blogging hiadus for a few months now. Towards the end of 2017 I was just feeling run down and burned out. At the end of November, I decided that it was time to take a break from the blog. So, I let the posts continue as scheduled through the end of the year, scheduled my autoreplies, and turned off my email notifications on my phone. I was quite hesitant about taking a break from the blog but I am so glad that I did. 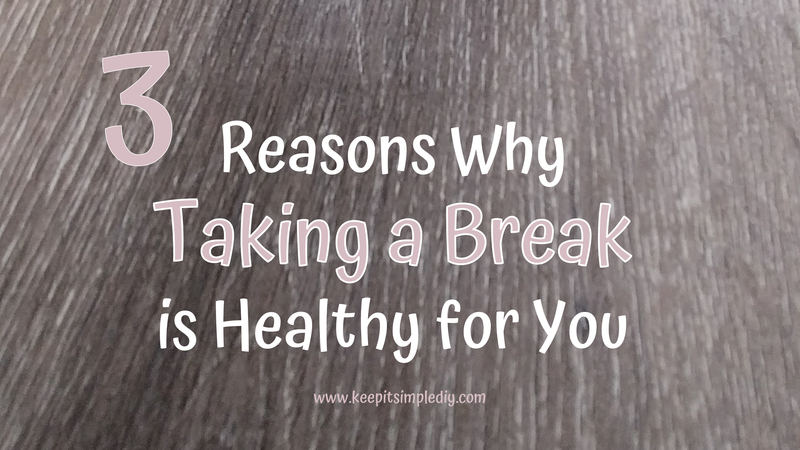 Since I enjoyed my break so much, I thought I’d give you a few reasons why taking a break is healthy for you! 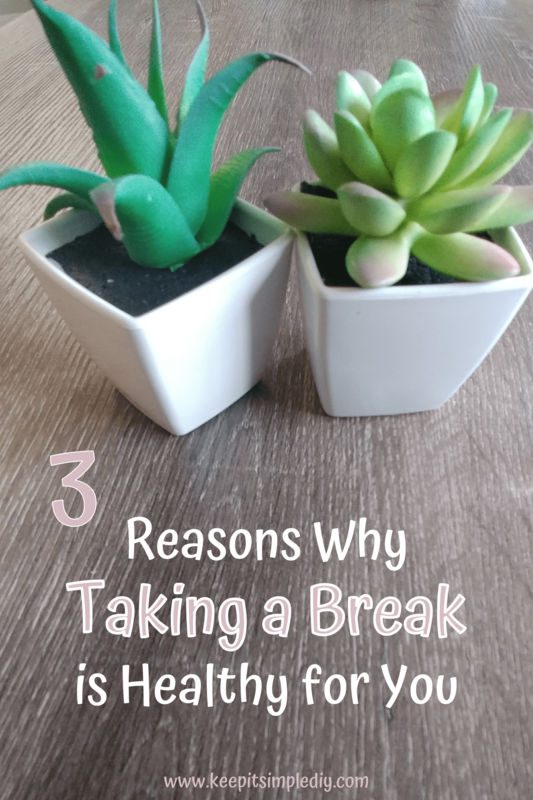 Before taking a break, I was feeling quite overwhelmed with all of the blogging tasks. Blogging really is a full time job that most of us do outside of our day jobs and around all of our other responsibilities. Once the blog felt more like a hassle than a hobby, I realized that it was time to let go for a bit. Let me tell you, once I made the decision to take a break, all of the stress and pressure instantly dicipated. At the time that I decided to take a break from blogging, I was getting so burned out. Blogging can easily require more time than a full time job. Between creating content, social sharing, emails, and all of the other behind the scenes blog tasks, it can be really daunting. When all of the tasks seem like too much, sometimes you just need to step away. Then you can plan how you will start back up again. This is a great time to prioritize tasks and possibly add time limits. When I was starting to get burned out, I noticed that I was rushing through the posts I was creating. I was more focused on getting content out than what the content was. Taking a break has allowed me to refocus and amp up my content game. I am so glad that I took the break from Blogging. It allowed me to get out of the house more and meet new people. It also allowed me to come up with a better game plan to avoid future blog burnout.